Columbia Heights High School (CHHS) are one of the newer Sparky programs in the 2017-2018 school year. 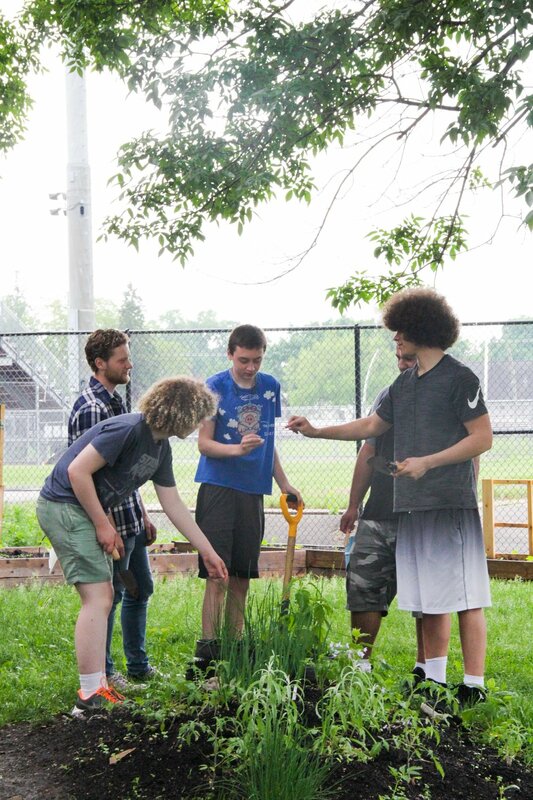 Our big-picture goal is to empower high school students through student-led design, planning, and build of an aquaponics system. CHHS is an after-school program, allowing our curriculum to be more flexible. The students we serve in this program already have a little background in agriculture with their own school farm on campus. We've had a great start to the program school year and we're looking forward to keeping it going. Coming in as an education facilitator at Spark-Y was a little daunting. There is a lot riding on us doing well. We are expected to help lead these young minds to be empowered, live sustainably, and then pass that forward to others. So I was really nervous about it all, but I didn't need to be nervous at all. From the start, these students were amped about aquaponics - and in particular fish!!! Two students were already well-versed in fish and fish care, and had already began debating on the types of fish the aquaponics system should have. CHHS students were ready-to-go, energized to learn as much as possible. To begin, we started by outlining our expectations and goals for the program in the coming year, in the spirit of collaborative conversation. We felt that was necessary to empower these young adults to have a say in what they want to learn about. Since this is a once-a-week program for three hours, we provide as much information to the students as possible on program days. To kick-off the education, we presented information on nitrogen cycles. Then, slowly building up to learning about structural design by exploring with popsicle sticks. Students were really good at meeting expectations, and with a little encouragement, were willing to stretch their thinking outside-the-box. My fellow facilitator, Becca, and I had them practice systems design. We created design drivers to help them think more outside-the-lines. We put time limits on designs, as they stretched into areas of new thinking, individually and in groups. The whole class was really chill and wanted to be there doing the projects. Becca was the MC and played her favorite hits from the 80's and 90's. 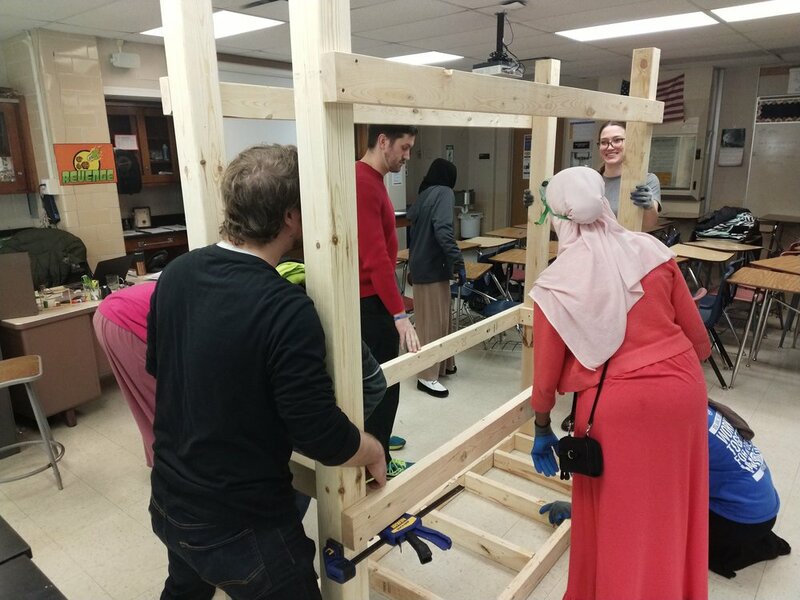 The design date for a full-scale aquaponics system needed to be pushed back, so we put together hands-on projects to jumpstart the group. This resulted in a mini aquaponics system assembly project, with student-designed lighting systems to provide light for the plants in the system. The students were the ones running the ship. They worked together in assembling and then designing and pitching their design to the other students in the class and voting on who's was more structurally sound. Some of the students were really detailed in there design of the light fixture. Everyone was getting in on the cutting of the PVC and assembly of it. Students that didn't like to talk much were engaged and were really enjoying the process. A few weeks later, students would get to design a larger system for their school. The youth had a lot of say in the process, including mocking up designs for our Operations Director, Sam Menzies. Sam would mash a lot of their ideas together to create a sound structure conceptualized by students. Once we had the design finalized with the students, it was off to the build. We've had two builds with the students so far and both we very productive. Everyone was excited about the build. We set up the stations for cutting and drilling the lumber. Becca was the designated MC again, playing “Africa” by TOTO and Sam air played every instrument, with me lip-syncing “Dust in the Wind” by Kansas to myself. The builds were fun and upbeat. We didn't have a shortage of work to do and every student was eager to start the tasks needed. Thus far, we have finished about 1/3 of the build. So that means the build will likely head into the second semester, with more students to potentially sign up for the program. I think the students really enjoyed being there and had a blast doing activities you normally wouldn’t be doing in a school setting: ideating, designing, building, and learning… and all while enjoying those smooth 80’s jams. Fall 2017 marked the start of the Spark-Y / Pillsbury Elementary partnership and the completion of the Spark-Y pathway in Northeast Minneapolis. In partnering with Pillsbury, Spark-Y now brings hands-on learning experiences to all levels of Northeast public schools. Unlike most first year programs, Pillsbury is a condensed program, with only six workshops and a build day throughout the academic year. 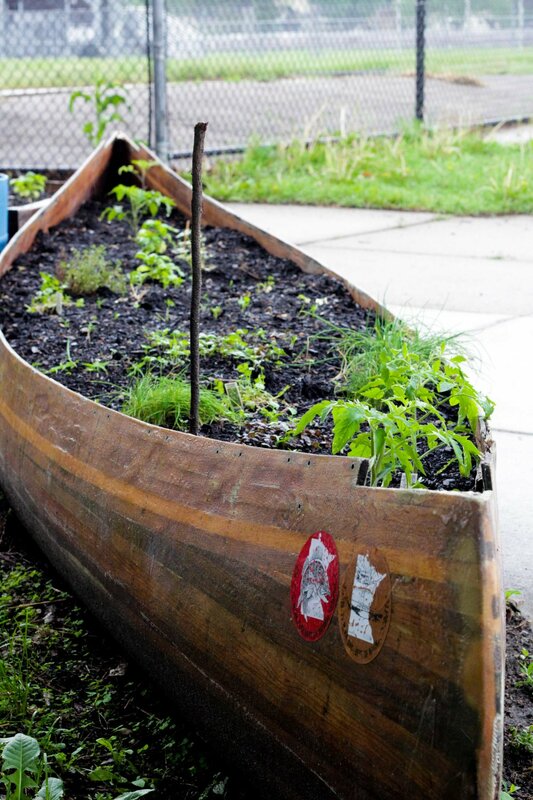 Our primary goal at Pillsbury is to help forty 4th graders build their first aquaponic system, facilitating an authentic learning experience around the life sciences, urban farming, and sustainability. As this is our inaugural year at Pillsbury, our priority was to build an aquaponic system with our two 4th grade classes. 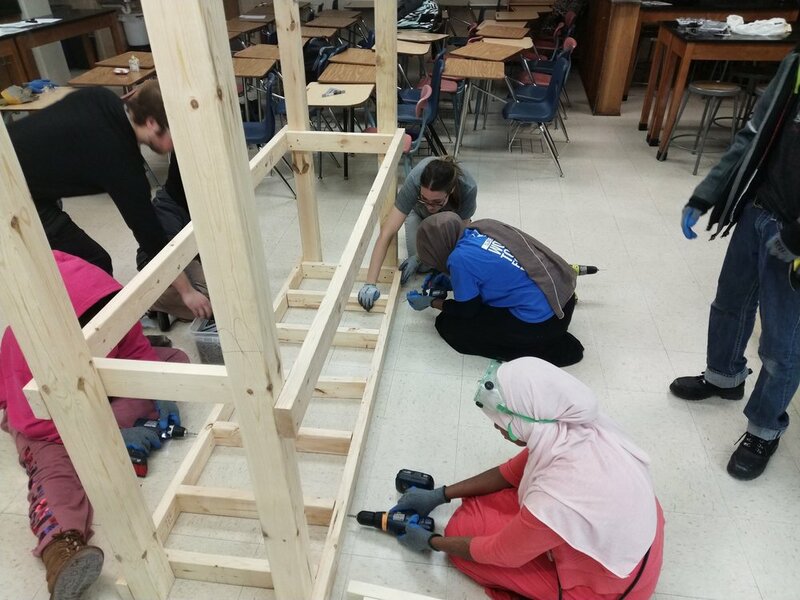 However, unlike most first year programs, we only have six workshops and a build day, meaning there was no time to waste and every minute of programming has to count. So after just one workshop to introduce the idea of aquaponics, six Spark-Y staff, two teachers, and forty 4th graders built an aquaponics system. The kiddos had an amazing time. Some of them were excited to tell us and their classmates how much they already knew about power tools, barely waiting to be called on to share their knowledge. Others were very unsure whether they had the guts to use the saw or drill or even walk up the few short steps of the ladder, citing a fear of heights. But by the end of the day, even the most tentative students were reaching to the top of the system, drill in hand, to put the final screws in place. Exciting transformations happened that day. 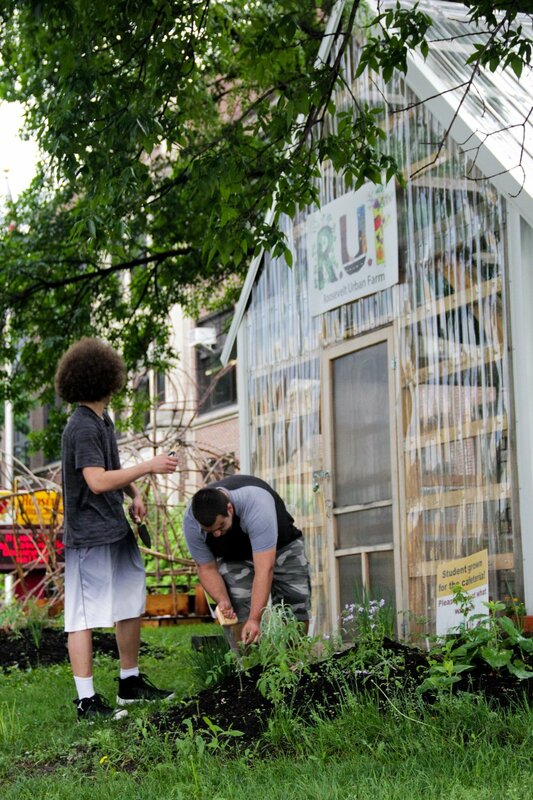 A pile of lumber became an aquaponics system and forty 10 year olds became carpenters. With the system in place, we turned our attention to launching and caring for the plants and fish. Students planted cuttings of longevity spinach and voted on which seeds to plant. They painted leaves and fish on their system, proving to be efficient if not perfectionistic artists. Regardless, the color brought life to the system and the message that it was student built and cared for. We brought in a guest goldfish for them to observe. He was an instant success, primarily because of his digestive efficiency. Students were shocked by the enormity of his excrement. Cassidy, a Spark-Y intern who was facilitating the station, said the students at first insisted that it could not possibly be poo because it was TOO BIG. They suggested names and have since checked in with us to make sure he was still doing well (he is). With three very successful visits under our belts, we went into the fourth workshop with the goal of teaching the students about the all-important nitrogen cycle and water testing. It’s a big goal to teach 10 year olds about a process that includes microscopic bacteria and chemicals they’ve never heard of before. The day fell flat. At the end of the two classes, it was unclear if the students had absorbed anything and we hadn’t even covered the maintenance schedule we had prepared. Wolid and I lamented the loss of a day, deciding that we had best repeat the lesson to make sure they understood the nitrogen cycle and water testing. So Wolid repeated a lesson on the nitrogen cycle, while Abby, another Spark-Y intern, helped students make observations on their new tilapia and growing seedlings and I walked students through water testing again. The day went amazing. Students with home aquariums asked if they should be testing their water at home or putting plants in with their fish. Another student’s eyes widened at the chemicals and beamed when I described them as little chemists. And best of all, over the hubbub of twenty chattering students, I heard Wolid ask a group of students what they remembered about the nitrogen cycle. To both our surprise and delight, students shouted out answers. AMMONIA! BACTERIA! How on earth had they remembered that? Wolid thought they hadn’t learned a thing two weeks ago. And yet, here they were, recalling the major players of a complex cycle. We definitely had underestimated these students. Now knowing that the students can make thoughtful observations on their plants and fish, name the components of the nitrogen cycle, and water test, we can confidently pass off the care of the system. With their enthusiasm and intelligence, we cannot wait to see how their system will thrive over the next few months and are looking forward to seeing them again next semester!